From time to time, there are situations that arise that make us use our creativity, science and technology. This is one of those times. This patient had been in a car crash when he was young resulting in facial trauma. It seemed like those days were years behind him. When he was an early teenager, he went through orthodontic treatment. His braces turned out great his smile is beautiful, but there was one reminder of the car crash, a tooth that did not descend properly. 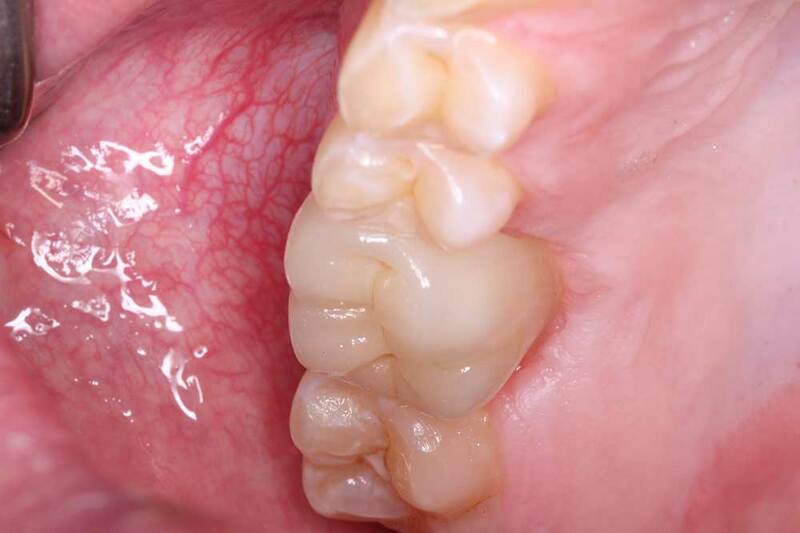 The tooth was stuck, although the orthodontists spent months trying to pull the tooth in the tooth was stuck. 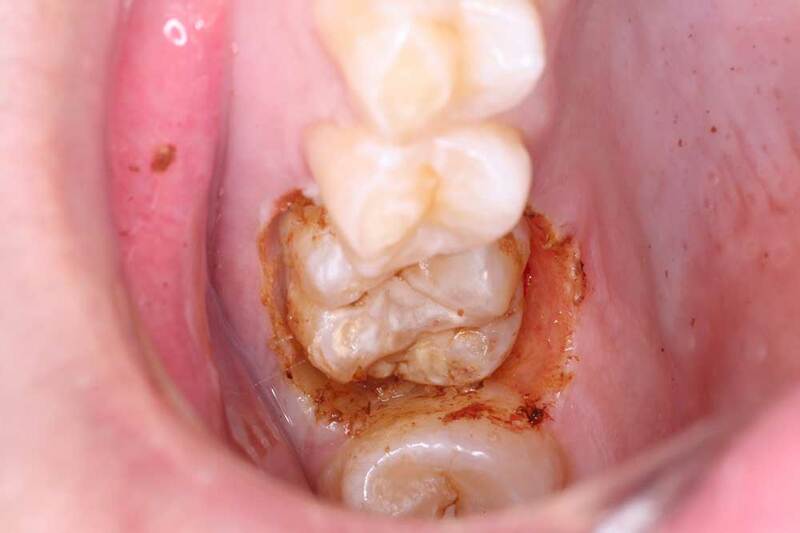 The tooth has a condition called ankloysis, ankloysis is where a tooth becomes fused to the bone, not having the ligament that “normal” teeth have. This condition is probably a side effect of the car crash. Dr McOmie did a minor gum surgery to expose the tooth. Then he prepared the tooth for a metal free bio-compatible crown. The patient left that day with a temporary and came back 4 days later. 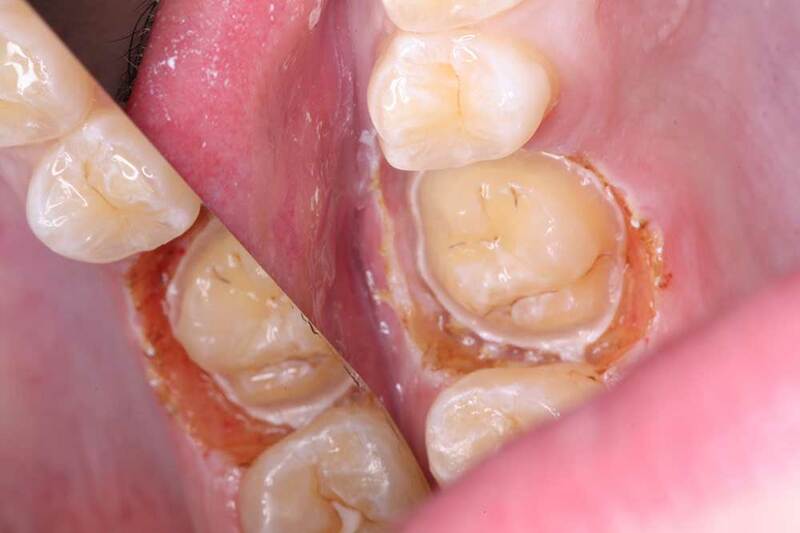 The permanent crown was then bonded in place. 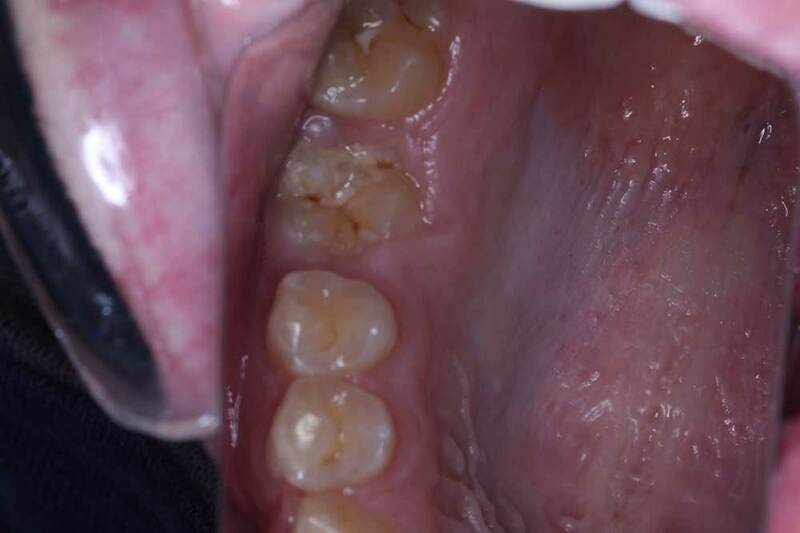 As you can see in the pictures the final crown looks very similar to the surrounding teeth and will give years of service. 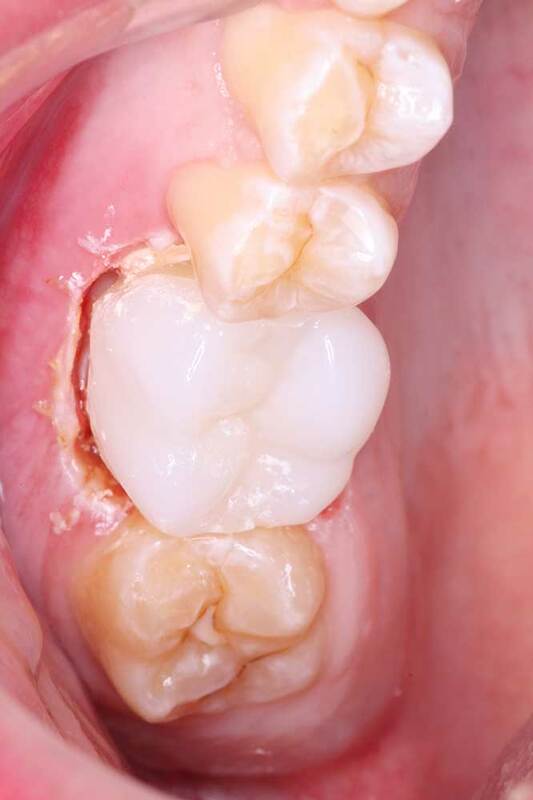 With a tooth like this the patient looks normal and has totally normal chewing function.